Amber Waves Ninebark shrub, newly planted, needs extra water to get established. 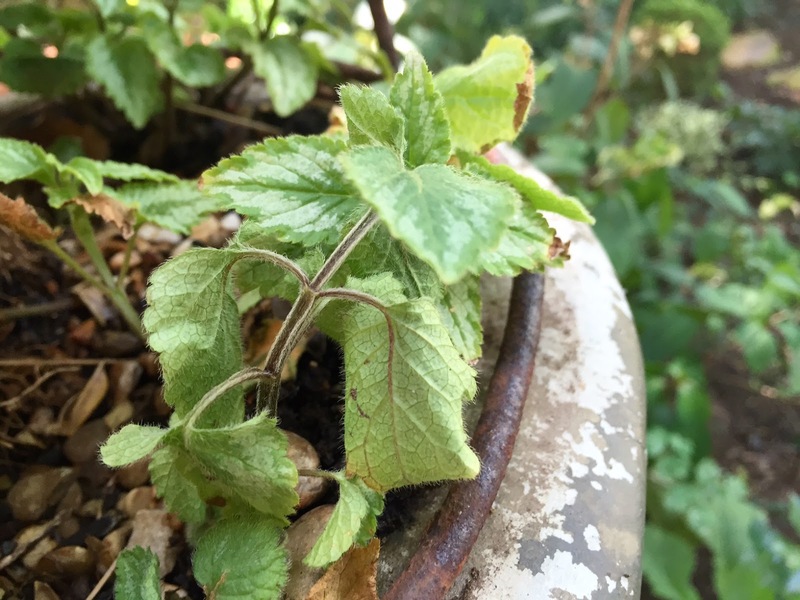 It is one of THE most vexing of garden dilemmas: Is my plant in distress because I am over or under watering it? Is it dry or is it drunk? Particularly given that so many problems...over and under watering, transplant shock, leaf scorch, nutrient deficiencies....can all mimic one another. Wickedly hot and dry summers make it all the more likely that we might literally kill our plants with kindness by giving them more water than is good for them. I am as guilty as anyone of this practice! So let's review some of the signs and symptoms of over and under watering. Espaliered apple tree leaves yellow and then drop from the shock of moving it from its nursery location to its new home at my house. New healthy growth indicates adequate moisture. Mulch both pots and beds to hold in moisture. Gravel is an effective and good looking option. 1. Leaves may yellow, brown and drop. Tips of leaves may brown and have a 'crunchy' feel. 2. Check the soil for moisture an inch or so below the surface. If dry, plants need more water. After watering deeply and slowly, leaves should regain their rigidity and the plant revive. 3. 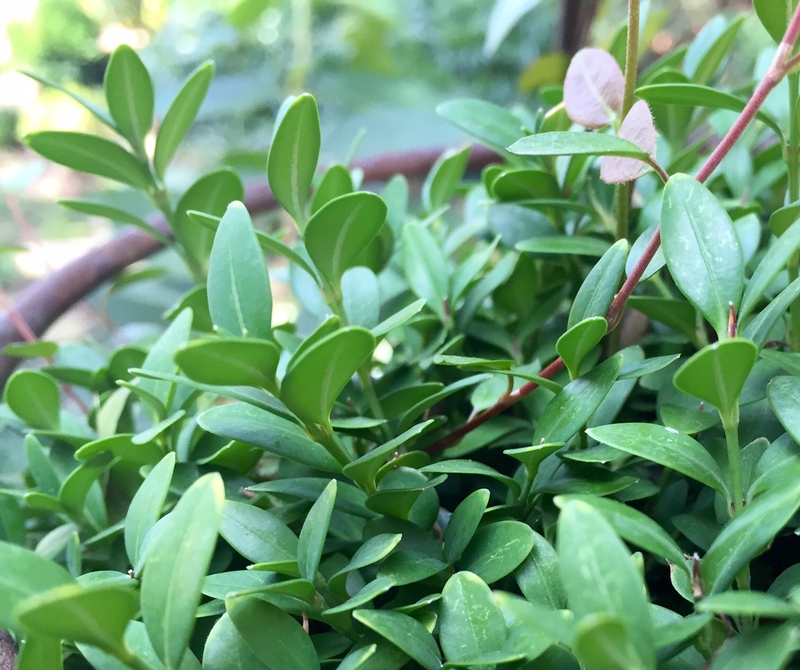 Foliage may be wilted or distressed, but there is healthy new growth on the plant itself. 4. 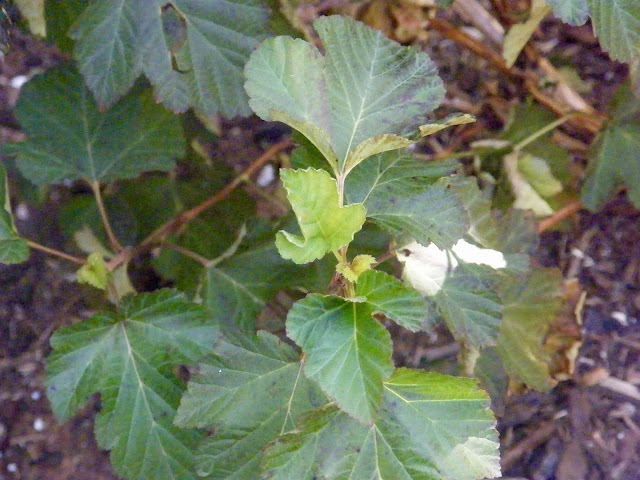 Leaves may curl and turn bluish gray and/or pale. Glossy foliage may lose its luster. 5. Soil of potted plants may retract from the edges leaving a void between sides and root ball. Water drains through without being absorbed by the soil and plant. Deep water from the bottom by setting plant in bucket of water until completely saturated. REMEMBER TO REMOVE AFTER DOING SO! A dry stand of vinca minor. Leaves are beginning to curl and lose their shine. 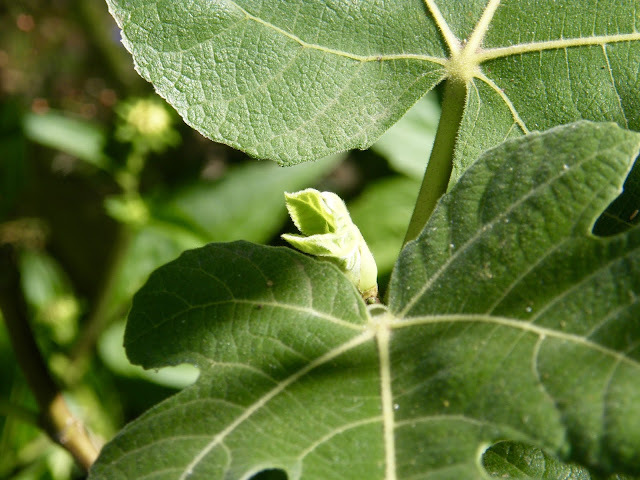 Foliage from a fig tree leaf shows signs of needing more water with brown tips and curling foliage. However with moisture, new growth is evident and plant rebounds (images above). Remember, plants located in areas with high exposure to wind and sun for long periods of time will need additional moisture. Also remember that this exposure will change as the season ages and the sun gets lower and lower in the sky. What was previously in shade may now be in sun and vice verse. Lower leaves show brown and 'crispy' foliage, but there is healthy new growth. Both signs that this shrub needs more water. 1. Leaves are drooping and plant looks wilted even though it appears to have enough water. 2. 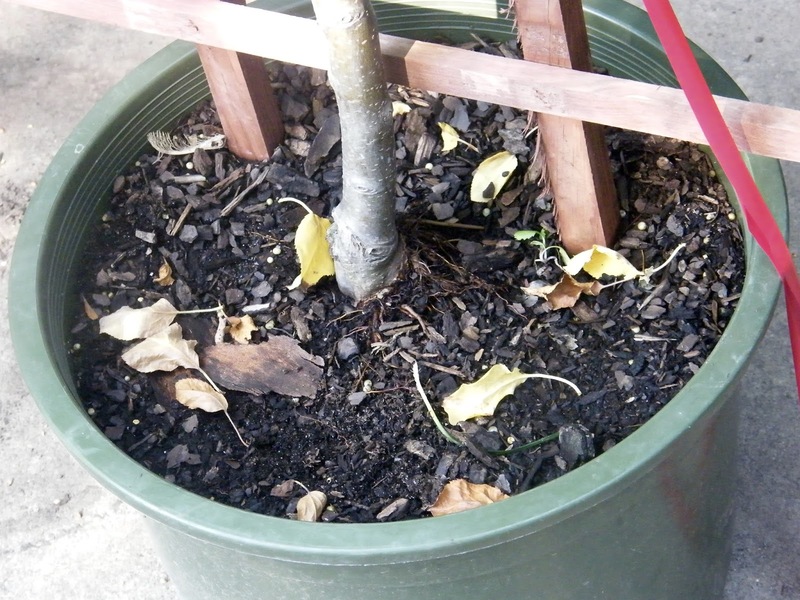 Like under watered plants, leaves may yellow, turn brown, and both new and old leaves drop. 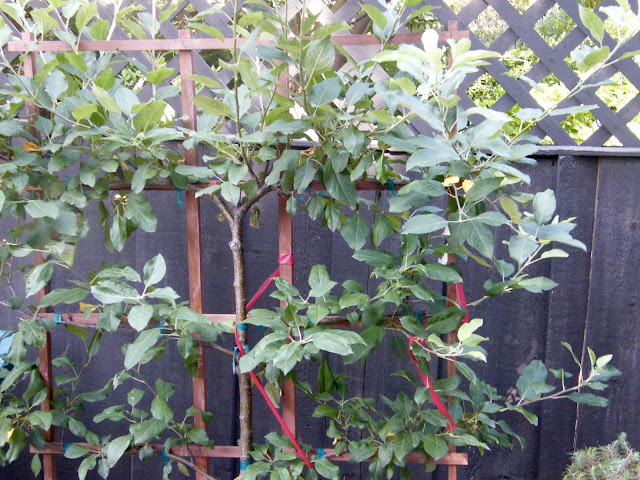 Unlike the CRISPY brown foliage on under watered foliage, over watered foliage that is yellow or brown will feel LIMP and SOFT. 3. 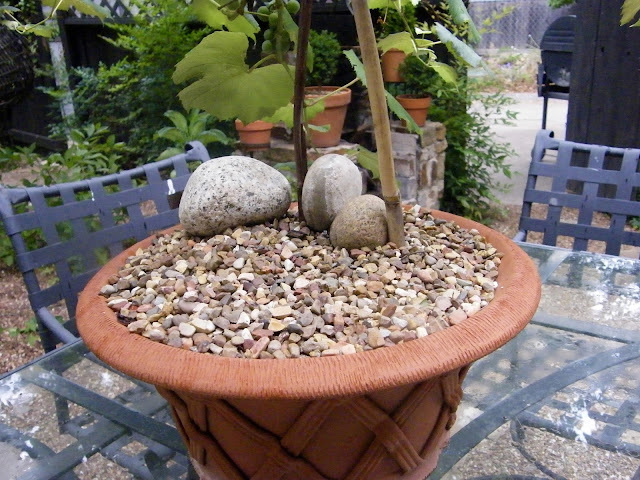 Plants in pots showing signs of over watering may have a clogged drainage hole. If so, check to make certain the container has adequate drainage. 4. Stunted or no growth. 5. 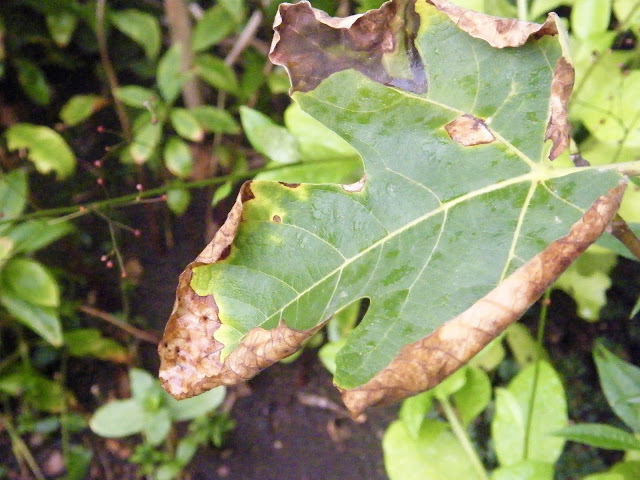 Over watered plants may have soggy, 'smelly' soil with possible mossy growth near plant. 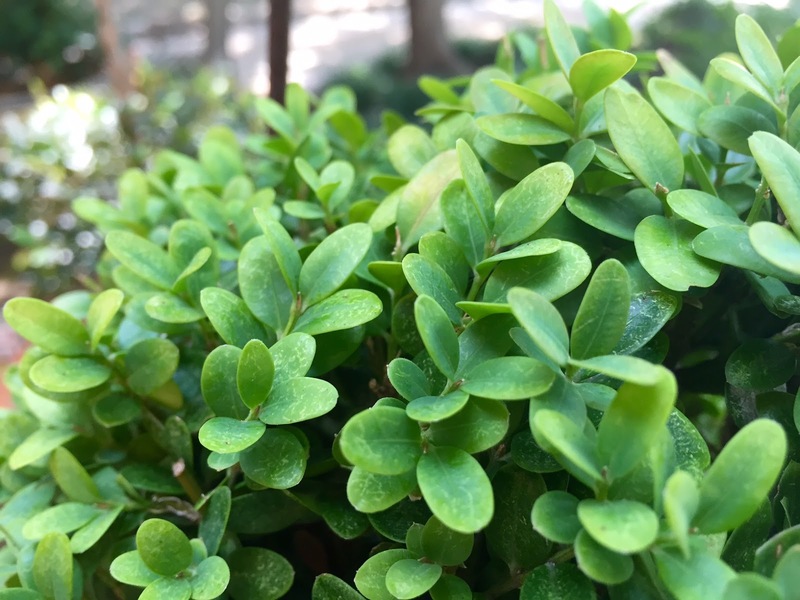 This boxwood is beginning to yellow and look distressed despite receiving the same about of water as similar containers. Sure enough, a clogged drainage hole was the culprit. Notice its foliage in comparison to the healthy boxwood below. Limp foliage of a trailer that has been over watered from the same clogged drainage hole. I blame it on live tv and cilantro stuck in my teeth. 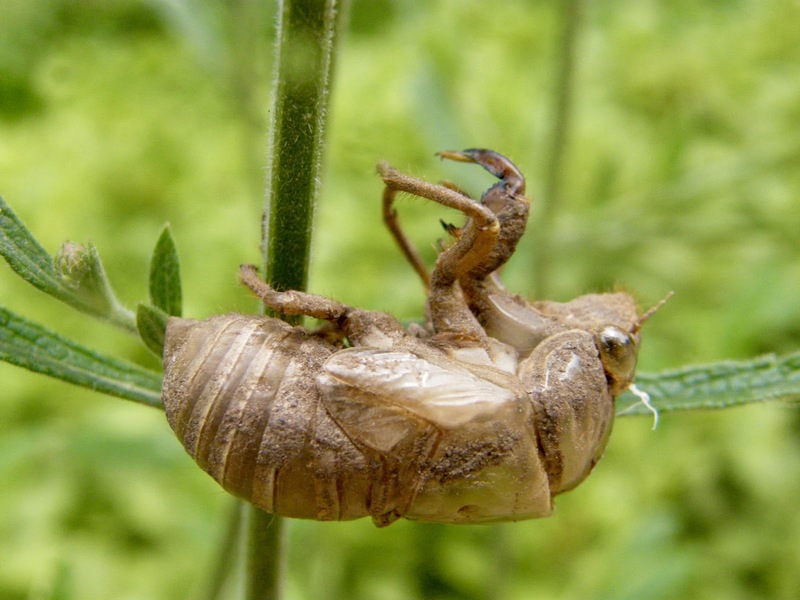 Image of how I usually feel towards the end of a long, hot and dry summer.